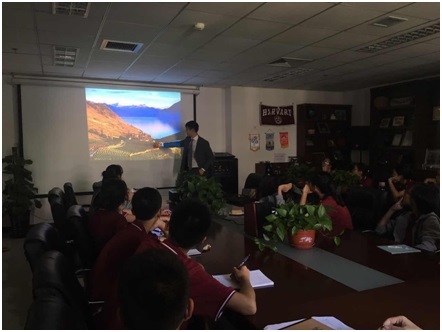 On Sept. 5th, 2016, Mr. Joshua Gan,the Regional Director of Asia Pacific of Ecole hôtelière de Lausanne, and thestudent representative Sophia, came to our school and gave an introduction of Ecolehôtelière de Lausanne in detail to the students from our AP and A-levelprograms. Firstly, Mr. Gan briefly introduced Ecole hôtelière de Lausanne. It is located in Lausanne, Swiss, and Lausanne is a citywith beautiful view and the campus has a very gorgeous environment. It willbecome a wonderful experience to live and study there. EHL is ranked as theNo.1 Hotel Management major in the world along with Cornell University, and thecollege designed different management areas and internship which perfectlycombined theories with practice. NHL uses an international and diverse way ofmanaging and it could attract the students from all over the world. After that, Mr. Gan gave the studentsa brief introduction about the undergraduate education in the EHL based on hisyears of work experience, including the application requirement and thedeadline, some preferential policies for the international students, etc.,which gave students more guidance for their application planning. In addition, healso introduced the application procedure of EHL in details. Students tookactively part in interacting with the college representative. Their fluent Englishand passionate questions impressed Mr. Gan. The atmosphere was relaxed andlively during the whole lecture. 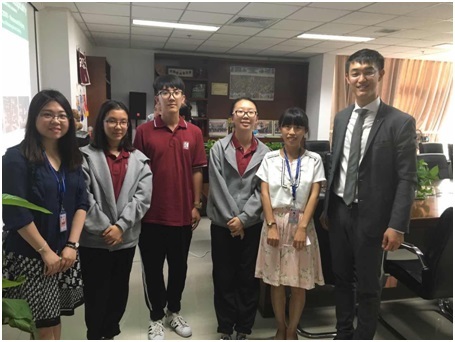 All in all, students acquired furtherinformation on undergraduate education in the EHL through this activity, andalso broadened their perspective. They learnt more the application proceduresand skills. They have made one step forward to the world famous universities.